Great Plains Zen Center is changing the frequency and format of our newsletters. Each month, those on our community email list will receive a monthly newsletter (like this one) and periodic updates, special announcements and reminders (3-4 times per month). We hope this will give you more timely notification about events and updates. We will also continue to post and archive newsletters on our website. You can download our 3-month-view calendar here. 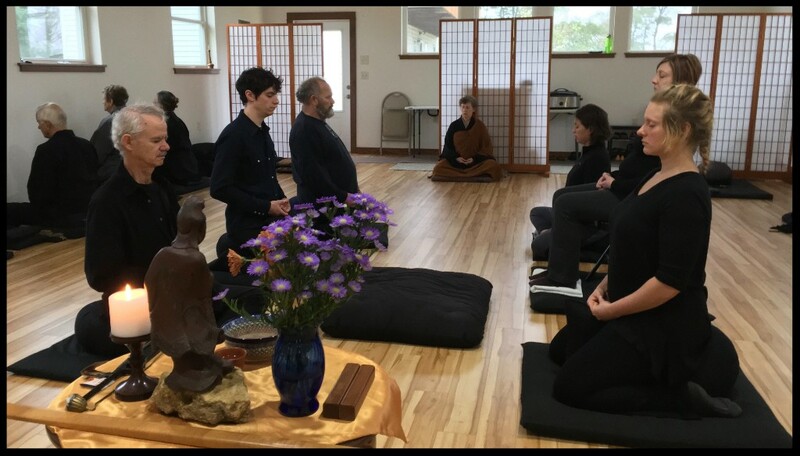 Great Plains Zen Center offers intensive meditation retreats (sesshin or zazenkai) every month. We recommend that you attend an Introductory Workshop prior to participating in a retreat unless you have had prior instruction and experience in meditation. Part time participation in a retreat is allowed. Peaceful Way/All My Relations Sesshin: August 16-19 Each year, we designate our August sesshin as the Peaceful Way/All My Relations Sesshin. The sesshin is dedicated to the memory of all those who suffered or lost their lives as a result of violence, oppression, genocide, and all forms of injustice. Along with the practices of zazen, service, oryoki and work, which comprise our typical sesshin, we incorporate the practice of metta bhavana (lovingkindness meditation). We affirm our intention to transform our own greed, hatred and delusion through the practice of metta as a tangible step toward nourishing the seeds of wisdom and compassion in the world around us. Additionally, we practice care and respect for the earth by eating only foods from our garden or grown locally and products from animals (eggs and milk) who were treated humanely. 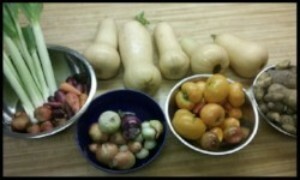 By decreasing the miles the food must travel, we also decrease the use of fossil fuels to transport it. This practice helps us to become aware of how our food comes to us and where it comes from, rather than just picking items off a supermarket shelf with no sense of the effort or suffering that went into their creation. We hope this will evoke a more intimate understanding of the interdependence of all beings and increase our gratitude and respect for the people, animals and plants that inhabit the earth with us, especially when considering our food choices. The sesshin name “All My Relations” comes from the Lakota understanding of the interdependence and relatedness of all things: Mitakuye Oyasin. Please join us for this important retreat. This sesshin takes place from Thursday night through Sunday morning. The cost is $150 for members and $180 for non-members, which includes lodging and all meals. Part time participation is allowed. Register for August sesshin on our website by August 13. GPZC Night at Ravinia: Monday, August 6 Members and friends of Great Plains Zen Center will gather on Monday August 6 for a potluck picnic (6:00) and a 7:30 concert by Grammy Artist Angélique Kidjo & Femi Kuti. Order lawn tickets from Ravinia here: https://www.ravinia.org/ShowDetails/Index?id=1493. For details, contact Jeff Ryuzan Slepak, Membership Circle Steward at ryuzan@gpzc.org. Volunteer Opportunity: Wednesday, August 8 7 AM – 5:30 PM helping with the annual Back 2 School distribution at Broadway Armory Park (5917 N. Broadway Ave., Chicago). Volunteers sign up for one or more 3 hour time slots during the day. Several GPZC members are signed up for the 10:30-2:00 shift. To sign up, email SpencerPost@b2si.org (and please email John Genshin Knewitz, Service Circle Steward at birdsfan53@yahoo.com to let him know you signed up. Great Plains Zen Center offers monthly IntroductoryWorkshops especially for those new to practice. The workshops provide basic, practical information including how to do zazen (Zen meditation), how to establish a home practice, how to make everyday activities practice, the aims of practice, and what programs are available for practice through GPZC. No registration or fee is required to attend weekly sitting at any location. Zazen at 5:30 AM and 7 PM on Fridays. For those new to practice, a brief orientation is offered during the first sitting period. Zazen at 7 PM on Sunday nights. For those new to practice, a brief orientation is offered during the first sitting period. Join us for informal tea and chat at 6:15 on 8/12, 9/16 & 10/14. Schedule will resume in September. 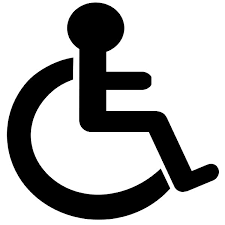 Weekly sitting will be held on Beloit College Campus in the Spirituality Room, Pearsons Hall day and time TBD. Zazen every Tuesday night at 8 PM. For those new to practice, a brief orientation is offered during the first sitting period. 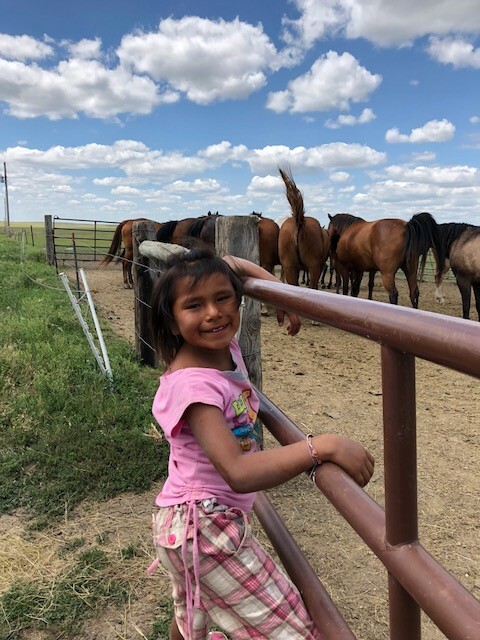 This summer, member Tom Zwick and Myoyu Roshi volunteered at the Simply Smiles summer camp held at the community center in La Plant, SD on the Cheyenne River Sioux Tribe Reservation. During the week, 30-40 children from La Plant and surrounding communities of Swiftbird and Ridgeview attended the camp run by Simply Smiles staff, interns and volunteers from around the United States. 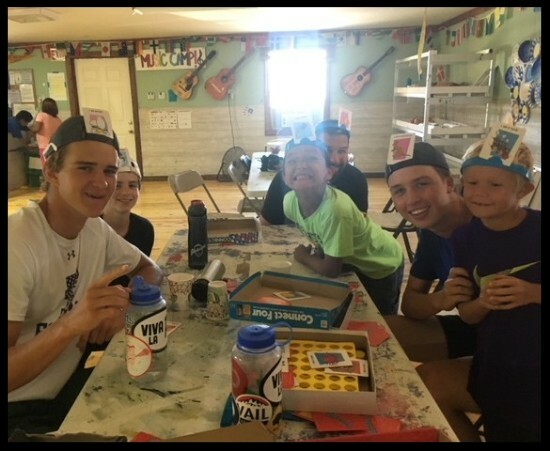 Campers engaged in crafts, all kinds of camp games, cooking and beading classes taught by Lakota elders, basketball, archery, soccer, frisbee golf, piggy back rides, horseshoes, weekly trips to swim in the beautiful Missouri River, horseback riding at Project H3lp and more. Community members came and shared their stories and friendship during three town wide community meals. Simply Smiles Inc., partnering with many organizations and individuals including Peter Yarrow and Tiokasin Ghosthorse, works in diverse ways to help the Lakota community realize its vision and boundless potential. This month, a group of talented Lakota youth are interning with the Montana Conservation Corps as part of Native Expeditions and others just returned from a weeklong writing program in Fairfield, Connecticut. Consider getting involved. 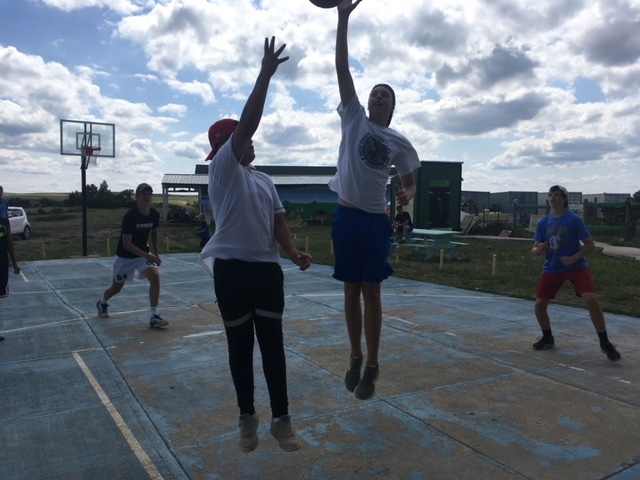 Donate to Simply Smiles or volunteer for a week at the Cheyenne River Sioux Tribe Reservation camp in La Plant or at the Children's Home in Oaxaca, Mexico. Join us next summer for a week that you and the children you serve will remember forever. Interested? Let Myoyu Roshi know at myoyu.roshi@greatplainszen.org so that you can be included in the planning of dates and activities. Tiokasin Ghosthorse, Lakota activist, radio show host, musician and Nobel Peace Prize nominee returns. Tiokasin Ghosthorse and Jadina Lilien will be in residence at Beloit College September 19-22. Tiokasin will give a presentation at Great Plains Zen Center on September 23. Details TBD. Narrative Identity Workshop presented by Matthew Dewar, Ed. D. October 27-28 Our everyday sense of who we are is a narrative uniting our past, present, and future. This storied self is a collage of characters, conflicts, values, beliefs, and themes. Reflecting on our “narrative identity” can reveal assumptions about who we are and how the world works. More importantly, it can reveal story lines that ultimately affirm or negate our well-being. In this workshop, we will explore the stories we live as with the intent of better understanding who we are and what is possible for our lives. Matthew Dewar, Ed. D. is the founder of JOURNEY 30K. He is also a high school teacher, well-being coordinator, and learning facilitator who has designed and implemented teacher professional development and school wellness curricula, including mindfulness-based stress reduction (MBSR) for faculty and students. He is the author of Education and Well-Being: An Ontological Inquiry. Several types of membership are available. More information about membership can be found here. Support our community by making a donation here. Like us on Facebook: "Great Plains Zen Center". You can also ask to join the Facebook Group, "Great Plains Zen Center Sangha". Recognizing that systems of power, privilege, and oppression have traditionally created barriers for persons and groups with particular identities, ages, abilities, and histories, Great Plains Zen Center strives to foster a climate of purposeful inclusion of all people. We pledge to do all we can to replace such barriers with ever-widening circles of solidarity and mutual respect. We strive to be a congregation that truly welcomes all persons and commits to structuring congregational life in ways that empower and enhance everyone’s participation.